A kind, caring, charismatic man left this life at age 82. Kenneth J. Hoover was born Oct. 26, 1935 in Walters, Oklahoma to Carl and Christine Hoover. He grew up in Lawton, Oklahoma and graduated from Lawton High School in 1954. His first job in Lawton introduced him to the TV and appliance industry. In 1964, he moved to Oklahoma City, and for 12 years covered Oklahoma as a sales representative for Thurman Magbee Corporation. During this time, he married Claudia S. Schones in 1973. From 1976 until 1993, Ken worked for Curtis Mathis Corporation and became Vice President of Sales. At the age of 58, he changed his career path and became a financial advisor for Edward Jones. After 20 years of service at Edward Jones, he retired in 2013. Ken is survived by Claudia, his wife of 45 years; 4 children: RaeLynn McCauley (Mike), Steve Hoover (Brenda), Deborah Schones, and Timothy Schones; 4 grandchildren, 4 great-grandchildren, and one great-great grandchild; and his sister, Pat Hammons. A funeral will be held in the Smith & Turner Mortuary Chapel on Saturday, October 27, 2018, at 2:00pm. 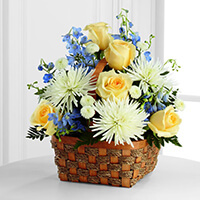 To send flowers to the family of Kenneth Joe Hoover, please visit our Heartfelt Sympathies Store. Ken Hoover was a man I admired and loved and I like many people had the privilege of knowing and being a big part of my life. Ken and Claudia were like parents to me. So many memories I will always have of this man. Like the time I wrecked his motorcycle and he just laughed. I remember one of his favorite artists Floyd Cramer and the song The Last Date. i will always remember his laughter and his love of life. You are missed greatly and I say thank you for being a big part of my life and you were many things but the biggest is you were a friend who I loved. Till we meet again my friend, my mentor,my father figure. Our thoughts and prayers go out to you. Ken was a grand gentleman and we will certainly miss him. Our Deepest Sympathy. We will miss Ken dearly. We will always cherish the memories we have of our times together and how he touched our lives. You are in our thoughts and prayers. He was one of my favorites when we all were at the Leo Maxwell Company - a life time ago. I remember when Ken and Claudia started seeing each other. We all had fun during those times. I lost track of him when he went with Curtis Mathis. I'm so glad that it seems he and Claudia had a wonderful life together. These were a different time but a wonderful time. Ken was part of our Edward Jones family for many years. Truly a great guy! Great Uncle Ken will be missed, dearly. He touched the lives of many and I will be forever grateful for having the memories we did share together. His smile was infectious and he was loved by so many. Rest in peace Uncle Ken - We love you! So very sorry for your loss.May the Lord bless and keep you in the days that follow.You are always in our thoughts and prayers.